Fill out all the required fields above and we will automatically generate a URL for you here. To use this UTM builder, simply enter your destination URL, add your campaign parameters, and copy the resulting URL. Click on the tabs below to learn more about each utm campaign parameter. UTM Campaign source is used to identify where your traffic is coming from, also known as the referrer. This can be the name of the newsletter, social media network name or even name of a website. This field is required for all UTMs. This parameter is used to identify how all the traffic is coming to you. This is the marketing medium that sent you the traffic. For example, this can be cpc, social, email or blog. UTM Campaign Name is simply a name to identify your campaign from. Most campaigns will run across several sources and mediums so your campaign name will help you to associate traffic back to the original campaign. A UTM Campaign Term is optional and not always used. Often, this is the paid keyword for the particular link. Sometimes, the campaign term is used to identify the link text when used in a blog article. This is another optional parameter of a UTM code. Use campaign content to differentiate between ads on the same channel or to run A/B tests of different images or content. Our Google UTM builder, also known as a campaign URL builder, was built with simplicty in mind. Simply fill out the boxes above our our UTM builder will automiatcally generate a link with all the proper UTM parameters appended to the link. This utm link can now be used regardless of what platform you use and can be used with Google Analytics, Kissmetrics, Mixpanel and other website analytics packages. Use the above Google Analytics URL Builder to track your next marketing campaign! A UTM is a set of parameters appended to the end of a URL or link. These parameters contain data that can be picked up by web analytic software to track information about your traffic. UTM codes allow you to see beyond the typical referrer information and track your marketing efforts to a much deeper level. Using a URL built from a UTM builder, you can better understand where your traffic is coming from and where to continue to focus your marketing efforts. Use UTMs to track your social media posts to find which platforms brings you the most traffic and conversions. Append UTMs to your URLs in your email marketing campaign. Know exactly which emails are bringing in traffic. Tracking your advertising spend down to a granular level is the best way to make sure you are getting as solid ROI. WILL UTM LINKS AFFECT THE SEARCH RANKINGS OF MY SITE? No, adding UTM parameters to your links will not have any effect on SEO for your website. Google, Bing and other search engines understand that UTMs are for tracking and understand that the UTM parameters are to be ignored. By using a UTM Builder / UTM Generator, your UTMs will be formed properly and have no effect on your SEO efforts. HOW DO I FIND MY UTMS IN GOOGLE ANALYTICS? After using a UTM generator to create your Google campaign URL, finding your campaign parameters in Google Analytics is simple. To find your UTM parameters in Google Analytics, just goto Acquisition -> Campaigns -> All Campaigns to see all current campaigns listed. You can click on each campaign to find out more information. In addition. you can also add a secondary dimension to any report. Simply select the "secondary dimension" drop down and select either "campaign name" or you can select "source/medium" to view those parameters. SHOULD I TRACK MY INTERNAL LINKS WITH UTMS? No. UTMs are for tracking external links into your website. When you use a UTM, you force a change in the acquisition for that session. If you use UTMs on internal links, you will use the original source/medium for that visit by overwriting it with new UTM parameters. Rather, you can use event tracking in Google Analytics to track clicks to certain pages and only use UTMs for links coming from external pages. THE URL FROM THE UTM GENERATOR IS VERY LONG, HOW DO I FIX THIS? UTMs are not pretty and often can be a very long string of parameters. Depending on where your URL is being posted, it might make sense to clean up the look of your generated UTM URL. Simply use a URL shortening service to make a short URL with all your UTM parameters in it. We are fans of Bitly which is a free URL shortening service. Copy and paste the URL from the UTM Builder / UTM Generator into Bitly and you will be given a shortened link that can be used on any marketing material. Once a user visits your site, having the UTM parameters in the URL bar of your browser can be annoying. The folks over at Wistia created an awesome script that will erase the UTM parameters after Google Analytics had time to log it. Check out their Fresh URL script. WHY IS YOUR UTM BUILDER / GOOGLE URL BUILDER FREE? Great question! 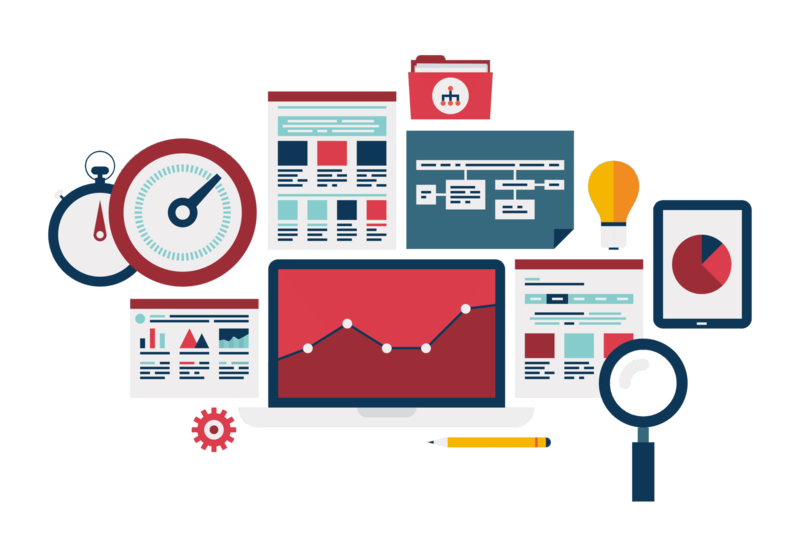 At Data Driven Labs, we believe in providing our clients and other webmasters the ability to control their analytics. UTMs are a big deal to us and a big deal to tracking your ROI which is why we decided to build this simple Google UTM Builder for free use by the public. We hope this URL Builder will help you to grow your business and help you understand where your traffic is coming from. WHAT CAMPAIGN PARAMETERS ARE REQUIRED? We strongly recommend you always have a Campaign Name, Campaign Source and Campaign Medium, however, only Campaign Source is required. If you do not set the other two, they will show up in Google Analytics as (not set). Our URL Builder will allow you to just use Campaign Source if you do choose to ignore the other parameters.